Pigeon Breeders are a trio formed in 2011. Steeped in the burgeoning Edmonton noise/experimental music community, they developed a unique blend of ambient, electroacoustic, free improvisation, noise, and psychedelic music; their work has been described as “gently unsettling washes of sound … intelligent, beautiful sonic art”. Their improvisatory nature has lead to collaborations with artists from a variety of mediums, including: filmmaker Lindsay McIntyre; Mile Zero Dance Troupe; Calgary’s Jung People; Brooklyn’s Nate Wooley; Nickelas Johnson (Smokey & The Feelings, Field & Stream), Devin Friesen (Bitter Fictions), Sean Macintosh (Zebra Pulse, Gary Debussy), Liam Trimble (Diamond Mind), Kevin Gaudet (Mercy Funk, Mortillery), Matthew McKenzie (Taiwan), and Connor O’Brien (Flint). They have performed at numerous festivals in Western Canada including Sled Island, New Music Edmonton’s Now Hear This, Casse Tette, Innovāre Accord, Bermuda, and Endless Bummer. Their music has been played on multiple campus stations across the country, and regularly charts on CJSR’s Top 30. Their 2013 album “Oblique Temperatures” was added to Edmonton Public Library’s Capital City Records local music collection. In 2015 they were listed on GigCity.ca’s 10 Edmonton Bands Pushing the Envelope. Their back catalogue includes digital and physical releases on Edmonton’ Ramshackle Day Parade and Calgary’s Shaking Box Music experimental music labels. Their latest release, Live At Skymall, is available on December 15th 2017 on Double Lunch and Sweets Pie Records. In August 2016 co-founder Tyler Harland relocated to Halifax, NS, and subsequent live performances often feature a guest third member in the group. 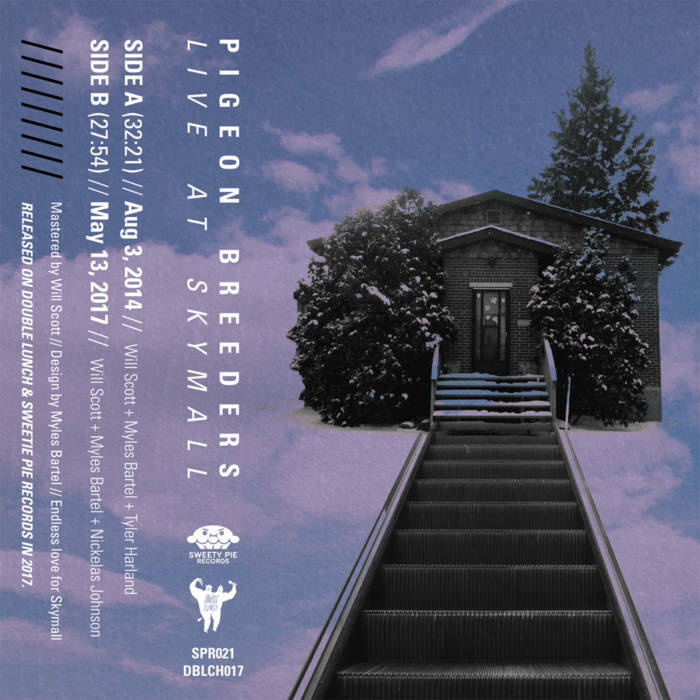 Pigeon Breeders are currently working on a new album for 2018.